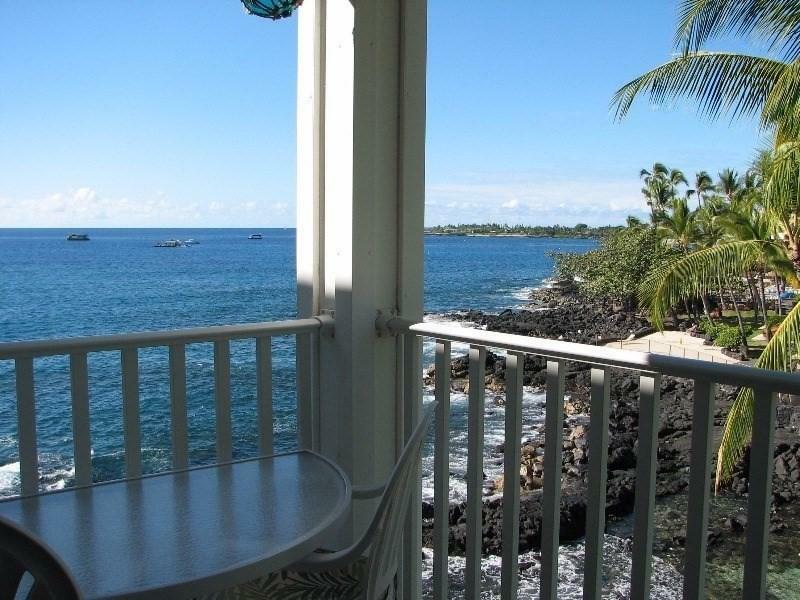 75-5870 Kahakai Rd, Kailua-Kona, HI 96740 (MLS #614909) :: Aloha Kona Realty, Inc.
Tasteful top floor oceanfront over lagoon condo with expansive windows in both bedroom and living room. This condo is fully furnished with everything you could ask for - sold TURN KEY. Furnished in tropical decor and well-placed original artwork. Remodeled kitchen includes recessed lights, tiled counters and glass top range. Open floor plan to living room. Beautiful tile floors throughout the condo for easy care. Shower over tub bathroom with a hall linen closet. Bedroom has a newer king-sized bedroom set, cable TV and good-sized closet for storage. 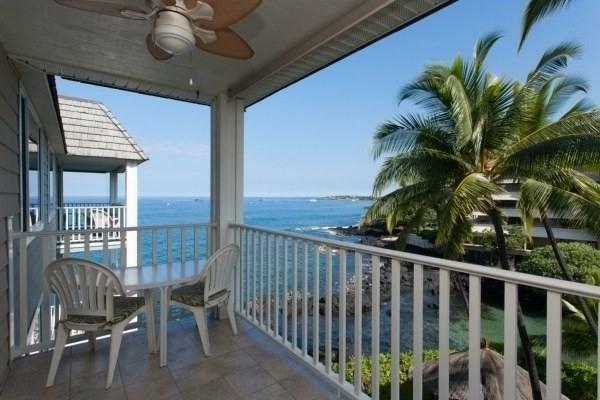 The lanai overlooks a sandy snorkel lagoon out to Kailua Bay and the ocean beyond. This unit is a popular vacation rental with an excellent rental history. 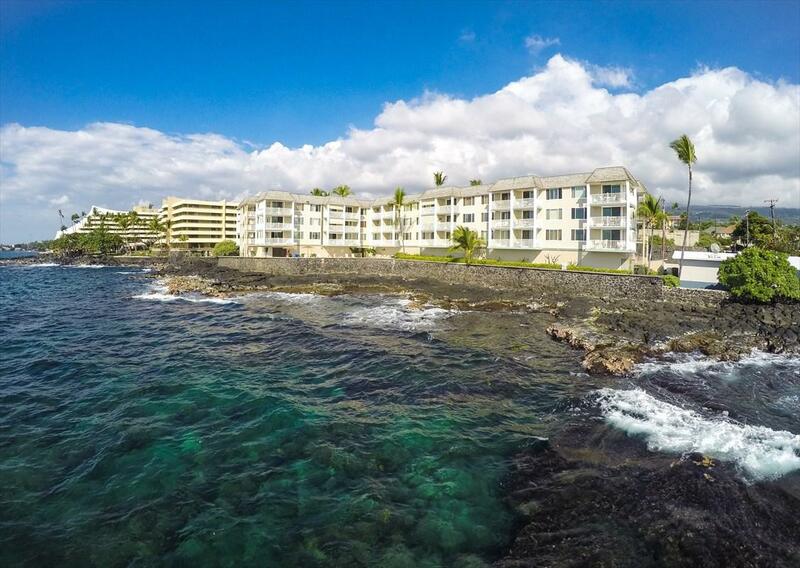 Hale Kona Kai is a small oceanfront complex that includes an oceanfront heated salt water pool, oceanfront BBQ, elevator and coin operated washer/dryers on each floor. In addition to traditional maintenance items (building, common areas, insurances, landscape services, pool maintenance, trash removal and improvements. 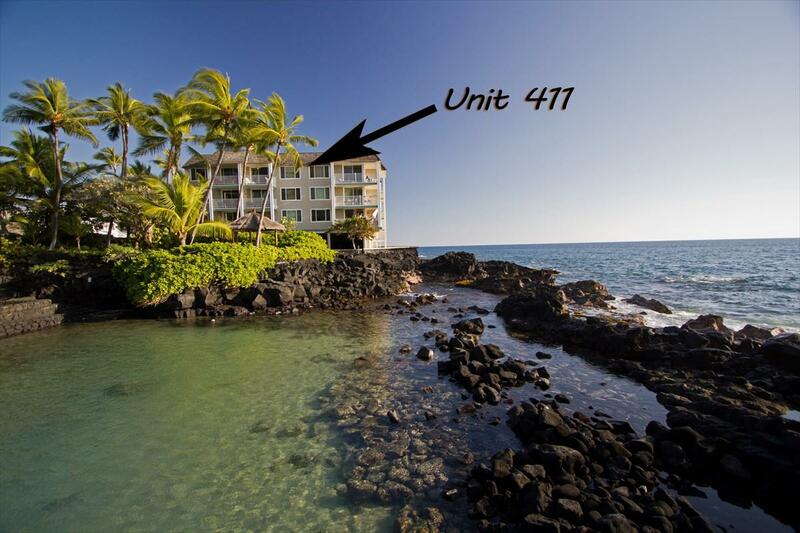 ), your fees at Hale Kona Kai ALSO include: Electricity, CENTRAL air conditioning, elevator, water, propane BBQ, phone including long distance, cable tv with Wi-Fi in the unit!!! Deeded covered parking spot included in purchase! Non-Smoking Complex.Located next to the Royal Kona Resort on a quiet side street called Kahakai Road only a short stroll to Kona Town and all of the popular restaurants, music, shops and farmers market. Honl's beach is just a block walk to the south. Watch schools of yellow tangs, spinner dolphins turtles and whales (seasonal) from your lanai. The information herein may contain inaccuracies and is provided without warranty or guaranty of any kind. Agents and Buyers must independently verify all information.